Children are attracted to the sea. Perhaps it’s the thundering waves, or the endless ways that sand can be used. The waves are constant, soothing and steady, like a lullaby. The castles that can be built in the sand can be as humble or regal as the wildest imagination. Perhaps, the attraction is in the depths of the sea–which doesn’t threaten when one stands on a beach. But, from the deck of a ship, when down you gaze into the oily green waters, the journey to the sea floor is certainly long and full of mystery. And, what creatures dwell in those Stygian depths? But, from the sandy shore, those frightful beasts really pose no threat. The threat is the water itself. In most places, the tides rise twice a day–and with their recession, they take the flotsam and jetsam back to the open water. A little girl plays quietly on a tiny sandbar. She watches the lapping water wash away the prints of her bare feet. She is dressed in green satin. She is dressed like Guinevere waiting for Arthur on the shores of Avalon, dressed like Heloise on the shore of endless love for Abelard. She is dressed like the princess she wants to be. “Careful, Bridget!” calls her mother from her chair beside the sea wall. “I’m fine, Mums”, replies the girl, Bridget. This is the beach of Teignmouth on the Devonshire coast. It is a tiny resort town, shadowed by nearby Torquay. It is dwarfed by Brighton, Bournemouth and Southampton, seaside towns built for the pale British flesh and providing a sun-filled (or cloudy and misty) holiday–the English Riviera. 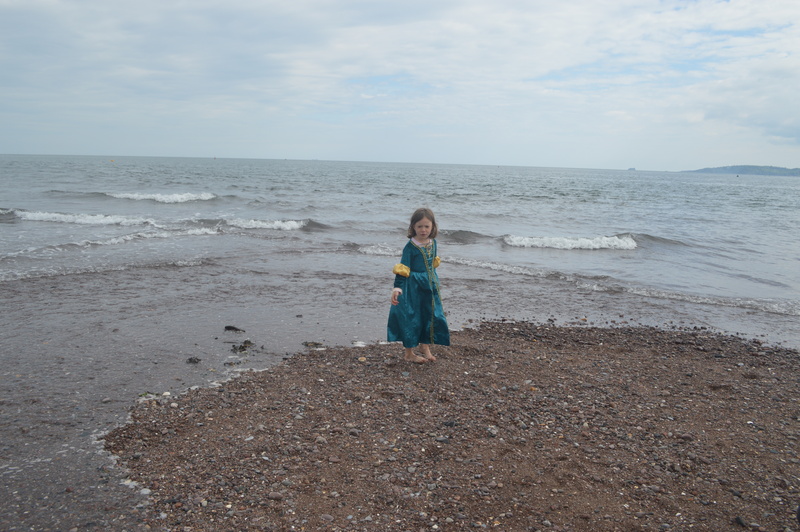 The little girl slowly walks in ever decreasing circles, until the incoming tide is splashing against her ankles. “Time to come in”, says Mums. Twenty years later, a woman named Bridget sits with her husband against the sea wall in Teignmouth. They sip from a bottle of Riesling. 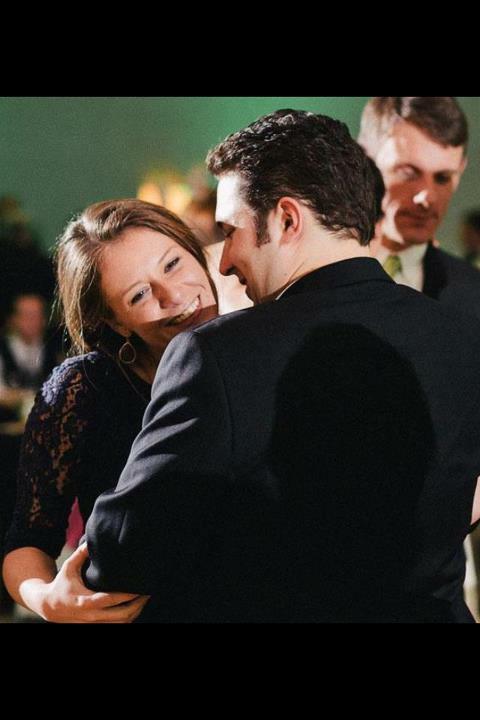 They face away from each other at a slight angle–unlike the days just after they were married. She spoke, faintly and without conviction as she gazed out at a tiny sand bar, watching the water wash away tiny foot prints.